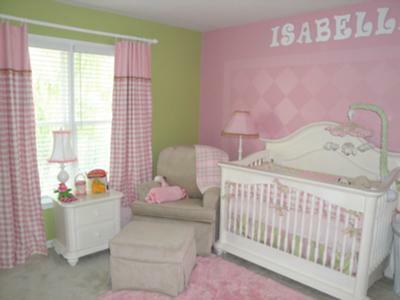 My husband and I created this nursery for our daughter Isabella! I was looking at many options for the bedding, and ending up going custom. It was a lot of fun picking our the fabrics, which we were able to find in our local fabric store as well. I got the bumper and skirt ordered at Polka Tot Designs in Mobile, AL. I bought coordinating fabric, and designed the drapes, which my mom sewed. We used the same fringe of the drapes to decorate the pink floor lamp, which I purchased at Target. The pink rug was also a steal at Target. The night stand lamp was a clone, the base was from Old Time Pottery and the top from Hancocks. We added some fringe to give it an edge as well. Mom also made some coordinating pillows. My husband designed the Harlequin design on the focal wall using AutoCad. It took about 2 days to complete. We used Satin Paint for the walls, and the diamonds were done in Semi-Gloss. 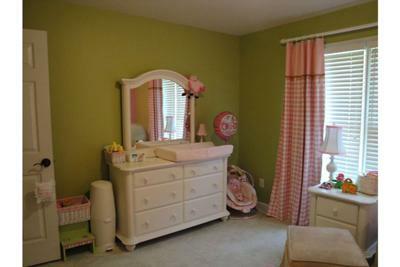 The green paint is called Inch Worm (W34009A) I think it was Valspar Signature Colors, Satin at Lowe's.. it was the primer and paint in one..The pink was Pink something, I can't find the name. 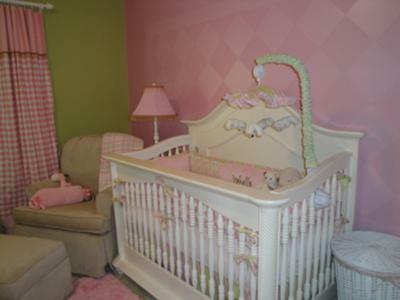 We bought the same color pink for the wall and diamonds, and just added a LITTLE bit of WHITE into the paint to make the color a little lighter so the diamonds could pop. 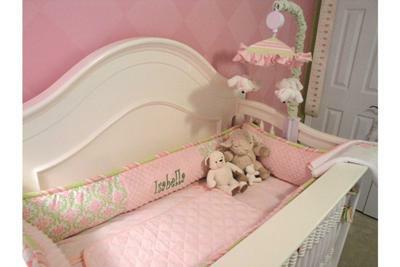 The nursery furniture is Munire- Bristol, white, we bought at Georgia Baby. 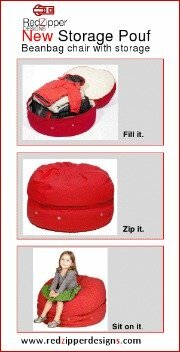 The glider and Ottoman are from Babies R Us. I found a cute chandelier Night Light at Target. I had the option of buying a Chandelier for the room for $25 at Hobby Lobby, but decided we want to put a ceiling fan instead. The letters were purchased at Hobby Lobby. The white hamper was from Babies R Us. The mobile had to be also custom made, that was done at Pine Creek Bedding in Oregon. We ordered the mobile at Precious Cargo in Smyrna, GA.
We used regular sheets for the crib, and also regular changing pad cover. My mom also made some sheet savers, and blankets using coordinating fabric. I also used www.fabric.com to buy some of the matching fabrics. I still need to get 2 animal canvas paintings to put near the dresser.. but am still trying to find 2 I like and that are the right colors.